Hi, just a suggestion, in spite of no detail, this could be a running crab spider. Longer second pair of legs is consistent with those, Might also compare to spiders called flattys. Any event, a very harmless spider, I think of them as tiny huntsman spiders. 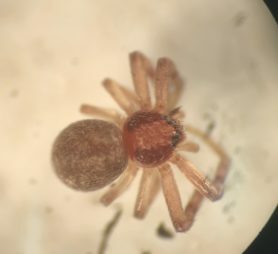 Note the body segment looks round, not the case with nursery web spiders. 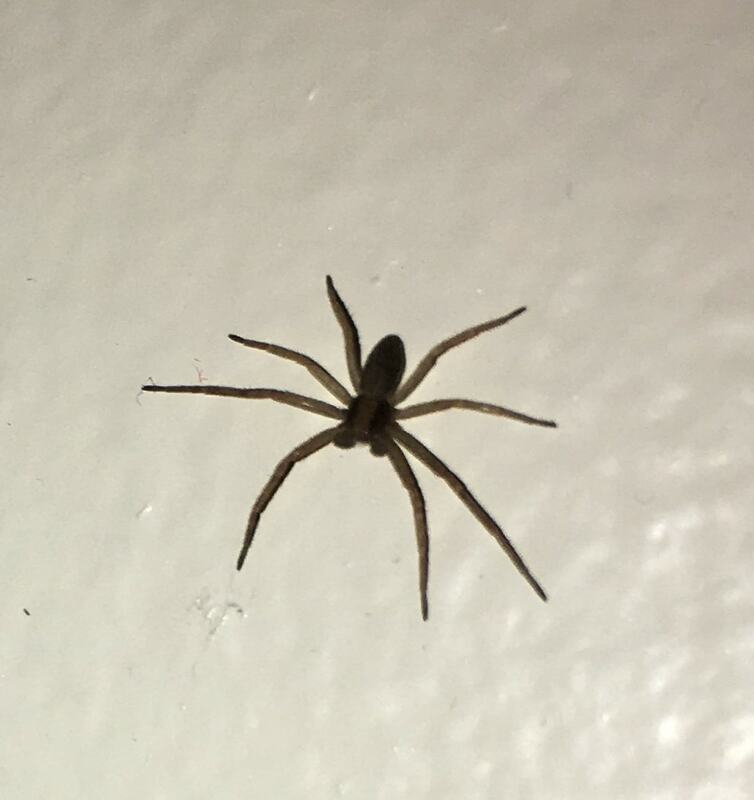 Really tiny, this could even be a wall spider, most can sit on a pencil, funny spider to watch though. 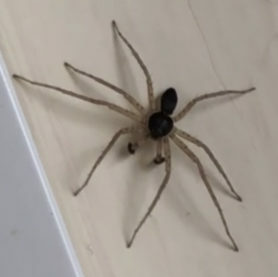 Hi, Dark Fishing Spiders have bands of dark colors on their legs. 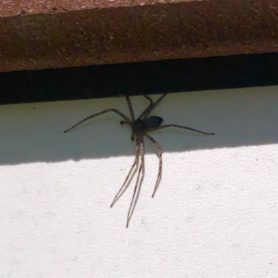 I think it is a spider that is related to fishing spiders, a Nursery Web Spider. Pisaurina mira has the same basic shape and behavior, but smaller with a thick band of different color down the dorsal length of the body. 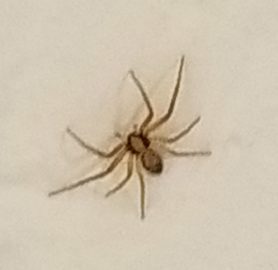 This one might be male, it is small.